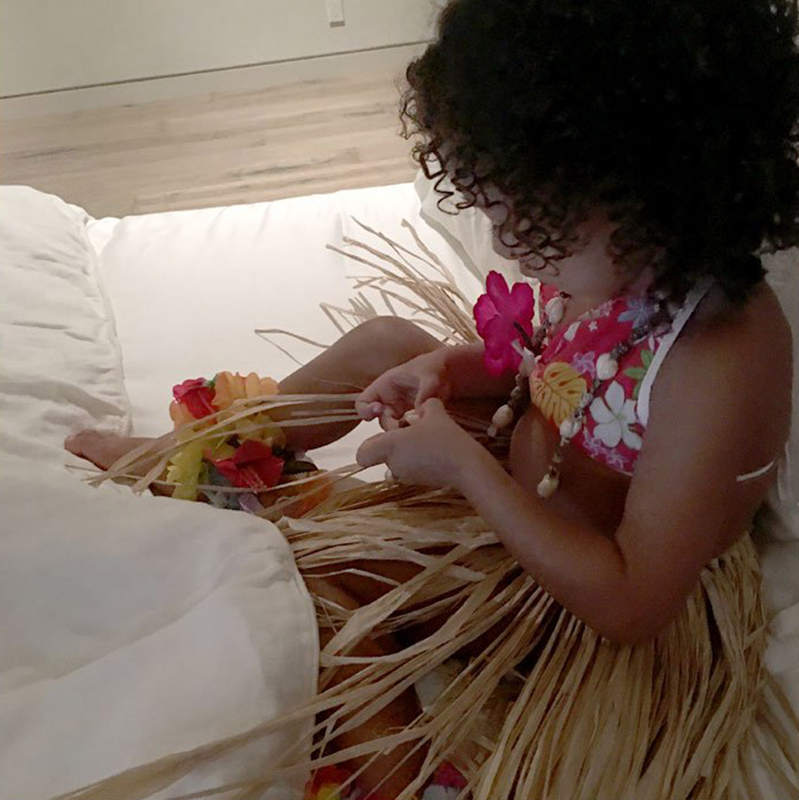 North West Trades Her Tutu for a Hula Dancer Costume — See Kim Kardashian’s Latest Photo! Aloha! North has apparently gotten over Frozen and has moved on to hula dancing. The adorable 2-year-old wears a bikini top and grass skirt in Kim Kardashian’s latest blog post. “Watching North in her hula girl costume trying to hula dance,” Kardashian, 35, shared in her “Currently” post on Monday, March 7. In the sweet snap, North’s cute curls obscure her face as she sits in her costume, accessorized with a shell necklace and a mini lei around her ankle. Kardashian and Kanye West’s daughter is a fan of dance. The little girl routinely goes to ballet class with cousin Penelope (Kourtney and Scott Disick’s daughter) and was spotted dancing to her dad’s new album, The Life of Pablo, during his Yeezy season 3 show last month at New York Fashion Week. I had to sneak Sophia into the hospital the day you were born and I knew that the two of you would be trouble together lol. Love the dance moves. Happy Birthday North we love you so much ?